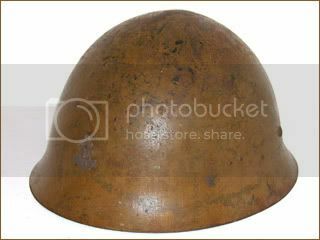 The Japanese Type 90 helmet model was introduced in the early 1930s. 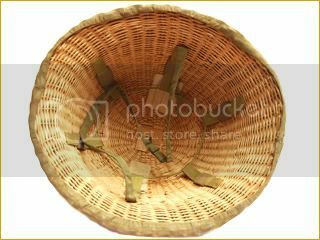 It was made of molybdenum steel and was generally considered to be ineffective against Allied small arms. 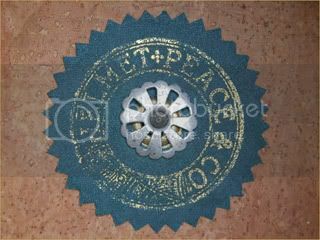 The star was used by the Japanese Imperial Army. This Japanese Type 90 features a net for camouflage purposes. 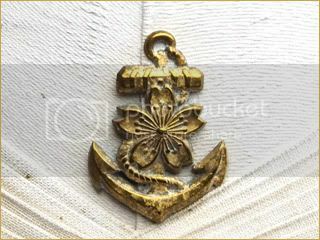 Naval Landing Force helmets feature an anchor with a cherry blossom, the standard insignia of the Imperial family. 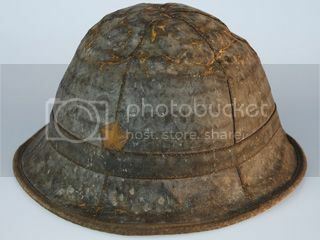 Additionally Naval Landing Force helmets are found without a formal badge but instead have a stenciled anchor on the front, usually in bright yellow paint. 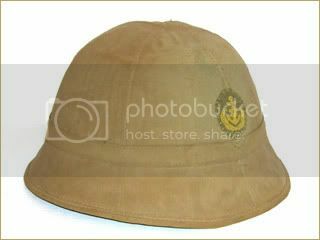 Last variation of the Army Type 90 steel helmet. 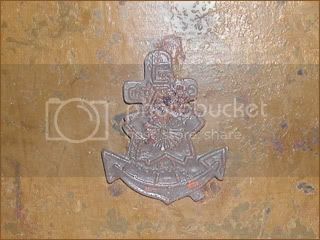 Used by police, firemen, air raid wardens and civilian defense forces at the end of the Second World War. 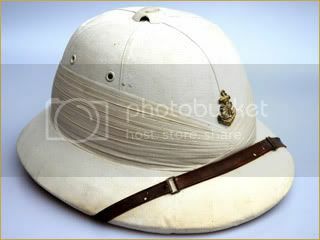 A "safari" style helmet used by the Japanese Imperial Navy. This pattern was typically private purchase, and adorned with the gilt naval anchor and cherry blossom. 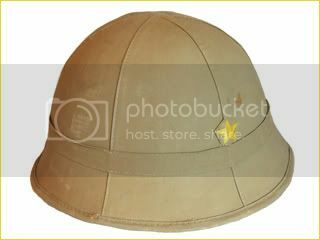 This "safari" style helmet was used by the Japanese Army. 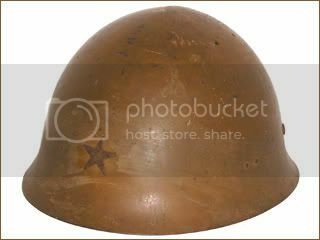 While the dome is cork, the brim of the helmet is made of recycled paper, and this could indicate it was made during war time. 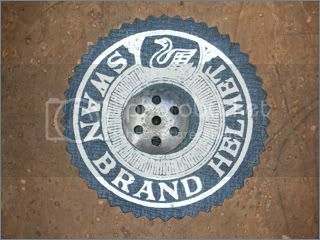 It features the label of the "Swan Brand," one of the major makers of private purchase officer's helmets. 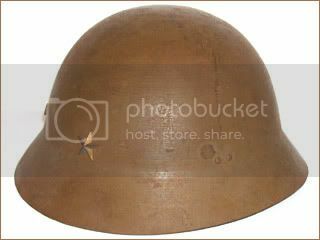 The traditional rounded bowl sun helmet of the Japanese Army. 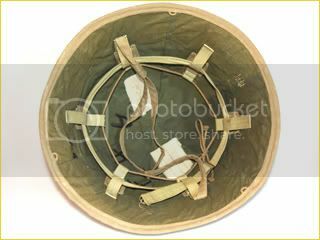 This example features the three loops on the inside of the helmet, which was used when the sun helmets were worn over steel helmets as a helmet cover. 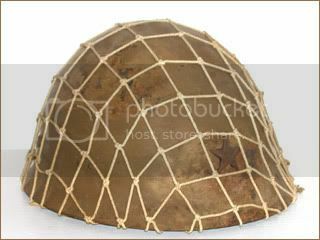 A variation of the traditional Japanese army sun helmet, this example is made of woven straw and is unfinished on the inside, possibly the result of a wartime economy measure. 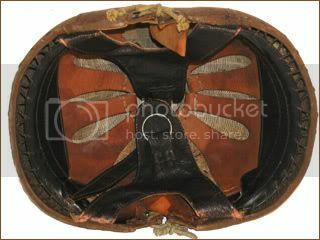 A rare Japanese sun helmet variation that features a waterproof material on the exterior. 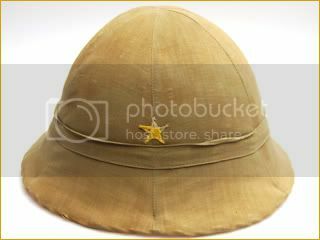 A rare Japanese sun helmet variation that is often called the "officers" version, or sometimes known as "The Bridge on the River Kwai" pattern as this helmet was worn by the character of Colonel Saito in the movie. 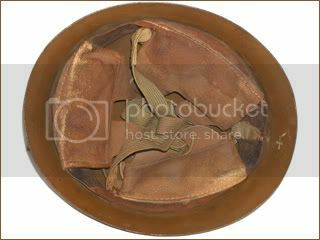 It is believed by some collectors that these helmets may have never been issued. 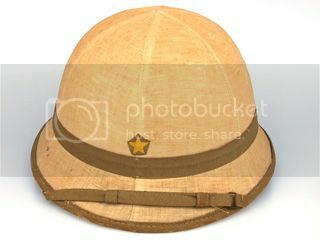 This helmet came by way of the son of an American marine veteran, and the navy cap insignia was either a late-war field addition or was a post-war add-on possibly done by the veteran himself. 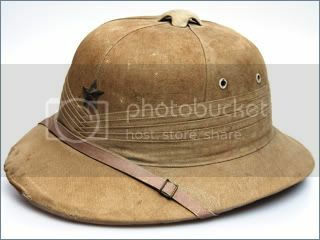 The Japanese Imperial Navy traditionally used the English "safari style" pith helmets rather than this Japanese army style helmet. 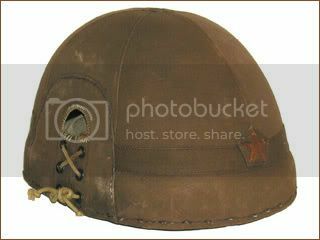 Introduced in 1932 this tanker helmet was made of waterproofed hemp. 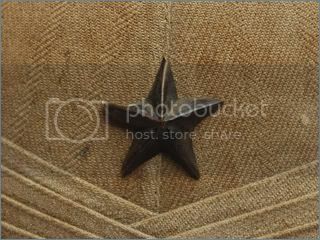 It features a padded leather liner, and has the Japanese Army star affixed to the front.